On a hot summer day, there’s nothing more refreshing than an ice-cold pilsner! That the inspiration for Piddle Pils! This beer is our take on a German Pilsner. 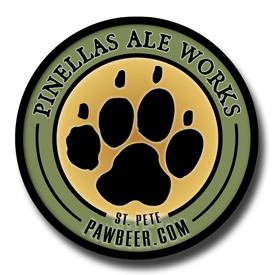 Brewed with 100% pilsner malt, well-balanced with German hops, and fermented using our St. Pete style lagering method; this beer is never boring! Now about the name… come on! You know that’s funny. Cold PAW beer on a hot summer day, it's what makes the difference between a good day and a GREAT day.